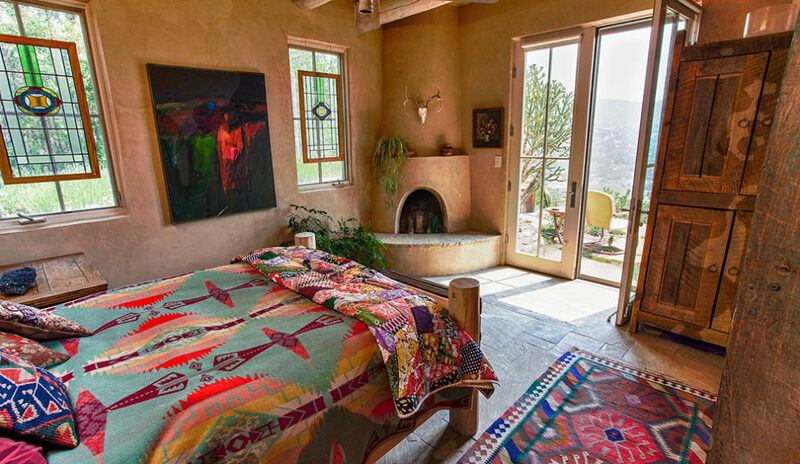 Santa Fe, New Mexico has long list of accolades; the oldest state capital in America; the highest state capital (elevation 7,199 feet above sea level); and one-time home of artist Georgia O’Keeffe. 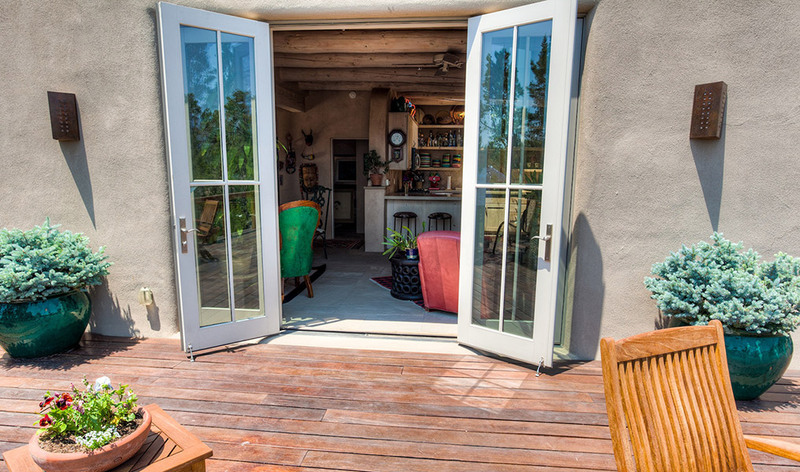 Homes in Santa Fe have a special character, reflecting the character of the high desert including this one, the home of Architect Gayla Bechtol. 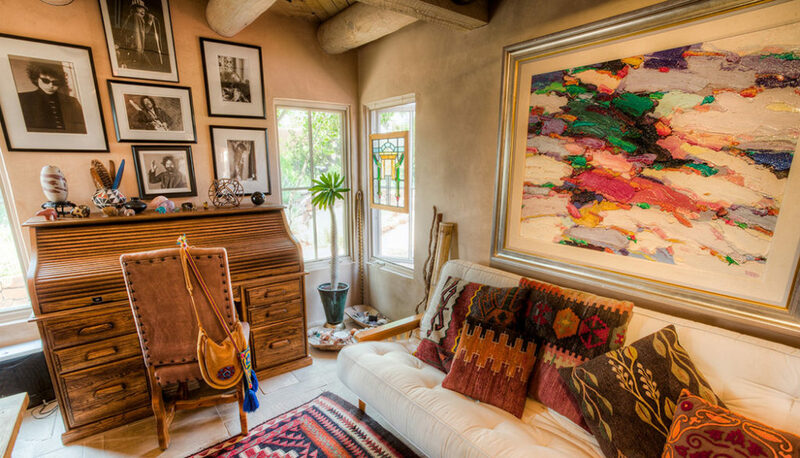 Stylistically speaking, this desert Pueblo home falls into the category of “Pueblo Revival” but I think you’ll agree the style’s much more about the personality of the owner. 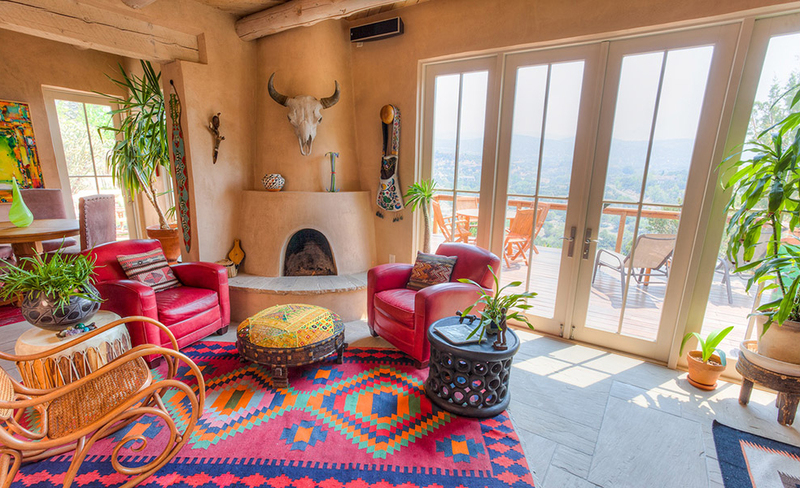 Bright colors in the furnishings contrast the desert sand color of the house. 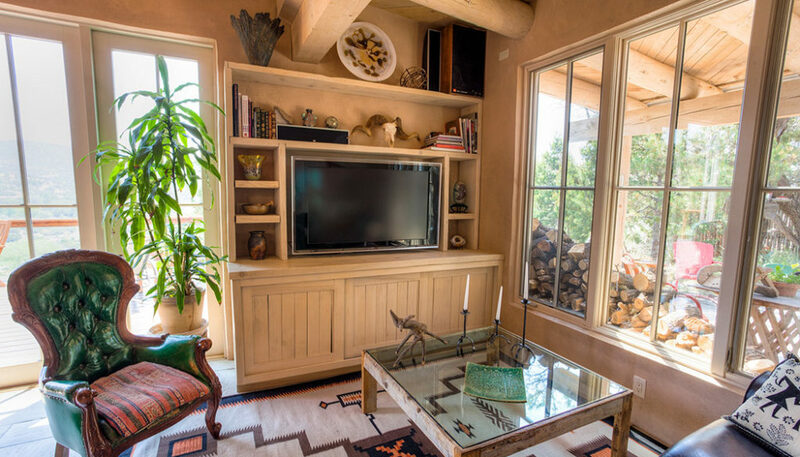 A small traditional fireplace is just big enough for a few mesquite logs to warm the house on cool high desert evenings. Room’s been made for a TV, but it isn’t the focus of the living areas. 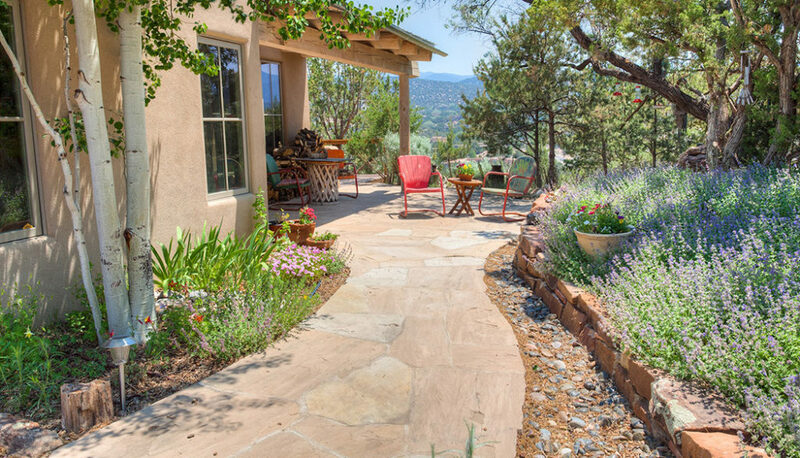 Instead, big windows and doors draw your attention outside. Those big glass doors lead out to a deck with an incredible view. 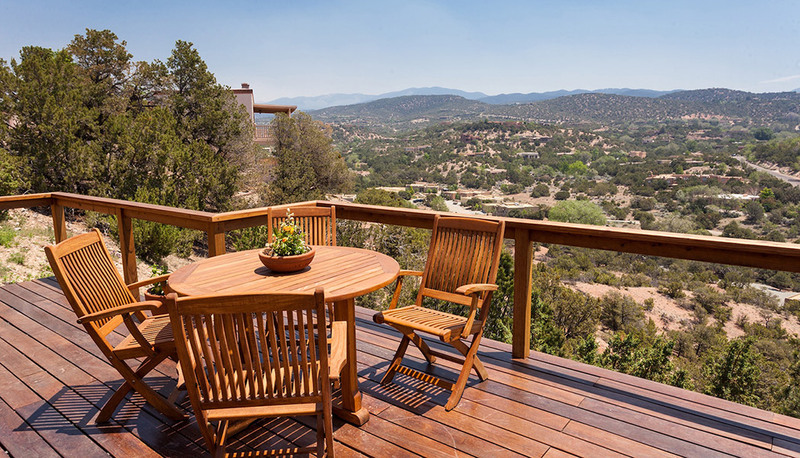 A minimal railing, finished to match the deck, frames views of the mountains surrounding Santa Fe. 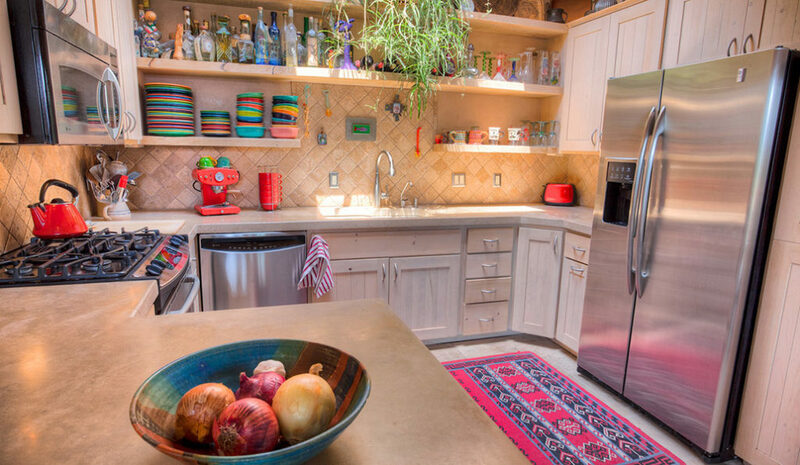 The colors of countertops, cabinets, and tile in the kitchen are also taken from the desert, becoming a canvas for the bright colors of the rugs and the Fiestaware. 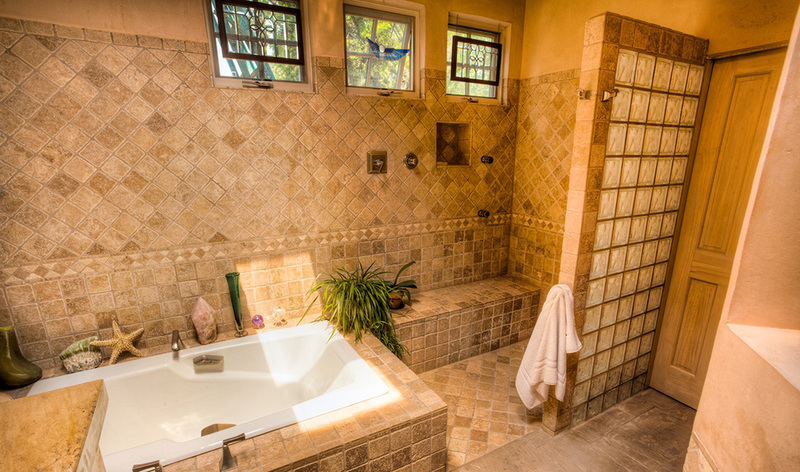 Other rooms in the house – the home office, bedrooms, baths, are true to the style, using the same finishes and colors. 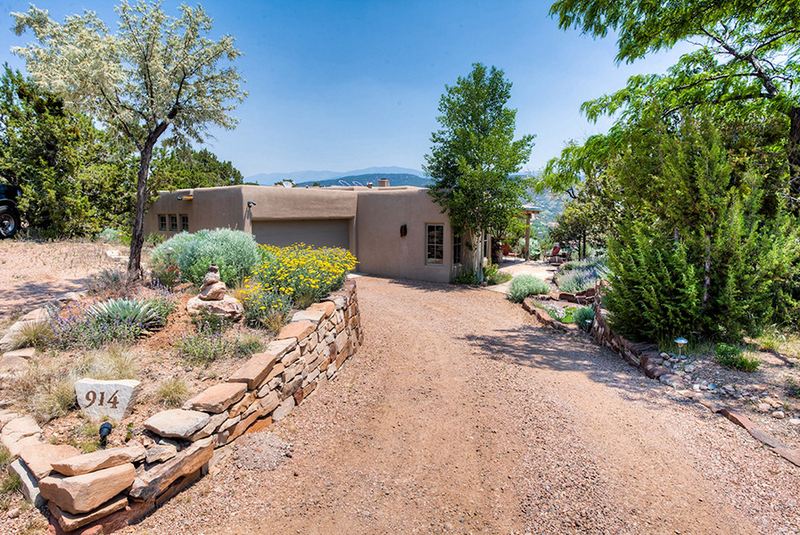 I really like the informality of the way you approach this desert pueblo home – the style, and this climate, fits my taste very well!